A deluxe resort with style inspired by Thailand’s rich culture, Khaolak Merlin Resort is set amongst peaceful tropical forest landscape and tranquil beaches. With direct access to 190 meters of Khao Lak beachfront and surrounded by 15 acres of lush tropical gardens, this is a delightful rainforest retreat with accommodation made of sparse two-storey chalet-style bungalows. Facilities at the resort include 4 swimming pool, a children pool with waterslide, a rejuvenating spa and a fitness centre and tennis court. There are two restaurants, one on the beachfront, pool bars and a sunset beach bar for refreshing cocktails. For an evening stroll, walk out to the small village nearby or take a Tuk-Tuk to the centre of Kha Lak, only 10 minutes away. Short Description: A deluxe resort with style inspired by Thailand's rich culture, Khaolak Merlin Resort is set amongst peaceful tropical forest landscape and tranquil beaches. 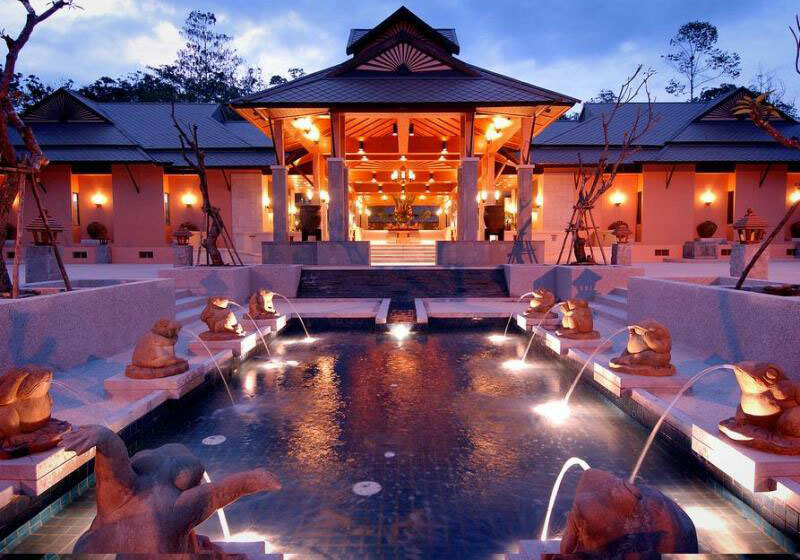 With direct access to 190 meters of Khao Lak beachfront and surrounded by 15 acres of lush tropical gardens.